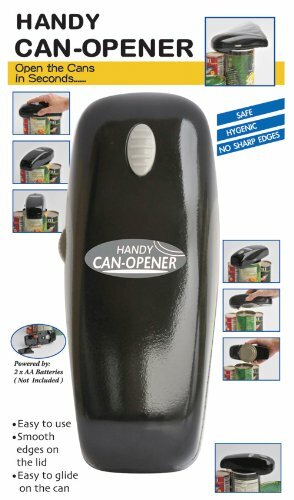 Handy can opener with a new design makes kitchen tasks easier. This handy tool slices through cans with ease. Easy to grip and use. Designed with full safety features. No sharp edges. Easy to glide on the cans. Powered by 2 AA batteries.